It wasn’t a great weekend for peace and harmony in major league dugouts, with spats and squabbles bursting into the open across the country. The most replayed of them—and the one with the most lasting repercussions—blew through Chicago’s south side, when Cubs pitcher Carlos Zambrano, at risk of implosion even on a good day, unleashed a barrage of venom at the world, and at Cubs first baseman Derrek Lee, in that order. Zambrano, only recently returned to the starting rotation following an unremarkable demotion to the bullpen, was on a short leash, and he knew it. The first batter he faced, White Sox leadoff hitter Juan Pierre, smoked a ball down the first base line, possibly playable by Lee although it was ruled a clean hit, and went for a double. The White Sox followed with another double, a single and a three-run homer by Carlos Quentin. By the end of the frame, it was 4-0. Lee didn’t back down, but neither did he seek to escalate the confrontation. Players quickly came between the two, at which point Zambrano punched a container holding paper cups, and was summarily dismissed by manager Lou Piniella. He was pulled from the game, thrown out of the stadium, and eventually suspended from the team. This was due partly to the clearly disruptive nature of Zambrano’s outburst, and also to a pretty easy deduction that it wasn’t the first time something like this had happened. He has a history of failing to be “the best teammate,” said Cubs GM Jim Hendry in the Chicago Tribune, including other public outbursts. In 2007, Zambrano pitched a similar dugout fit after Cubs catcher Michael Barrett’s throwing error helped lead to a five-run inning by the Braves. Where Lee was content to take the high road, however, Barrett followed Zambrano into the clubhouse to fight. How many blows Barrett managed to get in is unknown; he was, however, the only one hospitalized, to have his split lip stitched up. 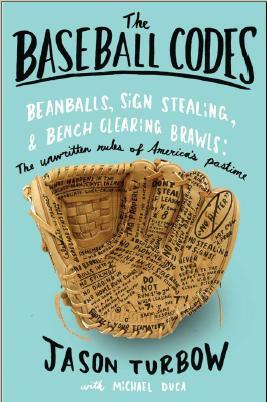 This incident led to a valuable unwritten rule concerning baseball hierarchy. When it comes to intra-team squabbles, the bottom line rarely concerns right and wrong; it’s all about value to the roster. Although a public reconciliation was eventually staged, Zambrano—clearly the better player—eventually won the war when Barrett was traded to San Diego three weeks later. 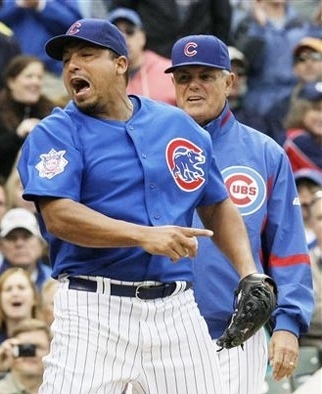 What these situations have in common, aside from Zambrano, is frustrating streaks of losing. Also last weekend but across the country, in St. Petersburg, Fla., more anger flowed following a play not made by a defender. Like the Zambrano affair, this one was also spurred by frustration over a losing streak. Whereas Zambrano’s tirade helped establish his credentials as a nut job, Tampa Bay third baseman Evan Longoria was perceived to be taking a new level of responsibility in his role as a team leader. It started when Tampa Bay outfielder B.J. Upton lazed after a ball hit to the wall—nothing as blatant as Hanley Ramirez‘s loaf earlier this season, but still plenty obvious—allowing Arizona’s Rusty Ryal to reach third base on what would have otherwise likely been a double. These types of incidents, minus Zambrano’s particular brand of mania, aren’t uncommon in the big leagues—it’s just that they don’t ordinarily happen out in the open. Take the dramatic hotel-room brawl between Davey Johnson, then a star second baseman for the Braves, and his manager, Hall of Famer Eddie Matthews, in 1973. The way Johnson tells it, after an initial verbal disagreement the manager invited him into his room and challenged him to a ﬁght. Johnson, reluctant at ﬁrst, changed his mind when Matthews wound up for a roundhouse punch, then knocked the older man down. Matthews charged back, and as the sounds of the scrape ﬂooded the hallway, players converged on the scene. In the process of breaking things up, several peacemakers were soon bearing welts of their own. This was something that couldn’t be hidden from the press. Matthews called the team together, and as a unit they came up with a story about a game that got carried away, in which guys took good-natured beatings. Flimsy? Maybe. Accepted? Absolutely. Ultimately, one hopes that these sort of confrontations allow for the airing of disparate viewpoints, and ultimately serve to bring teams closer together. At the very least, one hopes they don’t lead to physical injury. In the Oakland clubhouse in 1974, a stark naked Reggie Jackson responded to a game’s worth of needling from teammate Billy North by instigating a vicious clubhouse brawl. Vida Blue was the first teammate to attempt to break it up; when it became clear he needed help, catcher Ray Fosse entered the fray—and for his trouble ended up with two crushed vertebra in his neck when he was thrown against a locker. The catcher wouldn’t play again for almost three months and batted just .185 upon his return. Bemoan your team all you want, Cubs fans. At least your team is proactive. How about the famous Billy Martin pulling Reggie from right field in the middle of an inning for supposedly loafing after the ball. I find that incident strange to this day. I don’t like this kind of confrontation but this is what happens when grown men play a boy’s game.